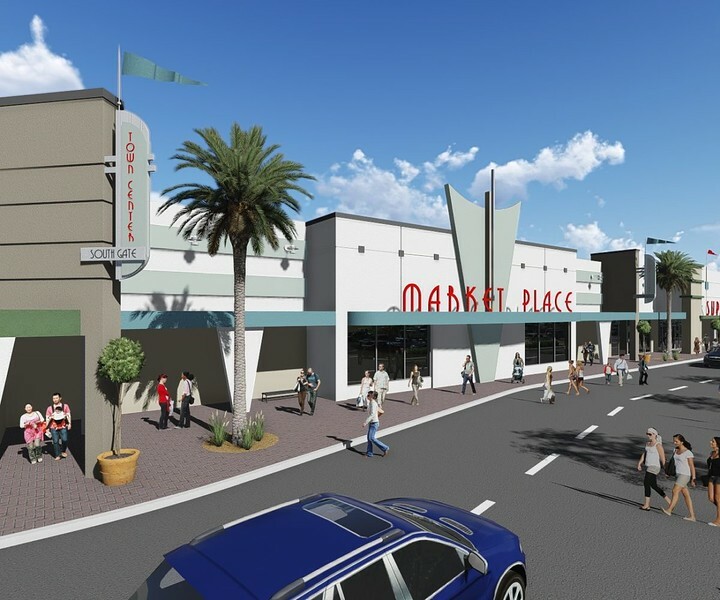 With the opening of an interchange at I-95 and Atlantic Bouelvard increasing access to San Marco and St. Nicholas, a major retail redevelopment project could be headed to St. Nicholas Town Center. 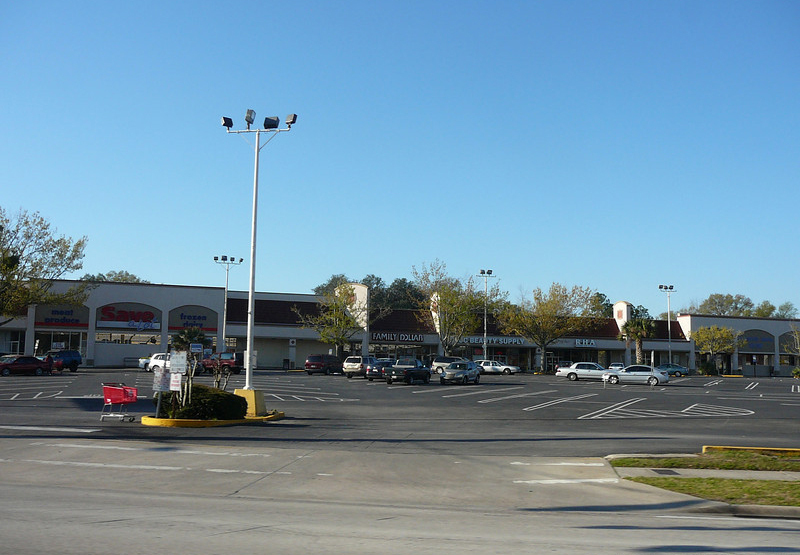 Southgate Plaza at 3428 Beach Boulevard could be in line for full redevelopment When East San Marco was initially announced in 2006, residents in San Marco and St. Nicholas rejoiced in the idea of a first tier full-line grocery establishing a location in their neighborhood. Anchored by a 30,500 square foot Publix, the five-story mixed-use project also included 14,000 square feet of specialty retail shops and 239 multifamily units. Despite the fanfare and great anticipation, East San Marco has not moved past the drawing boards in over a decade. 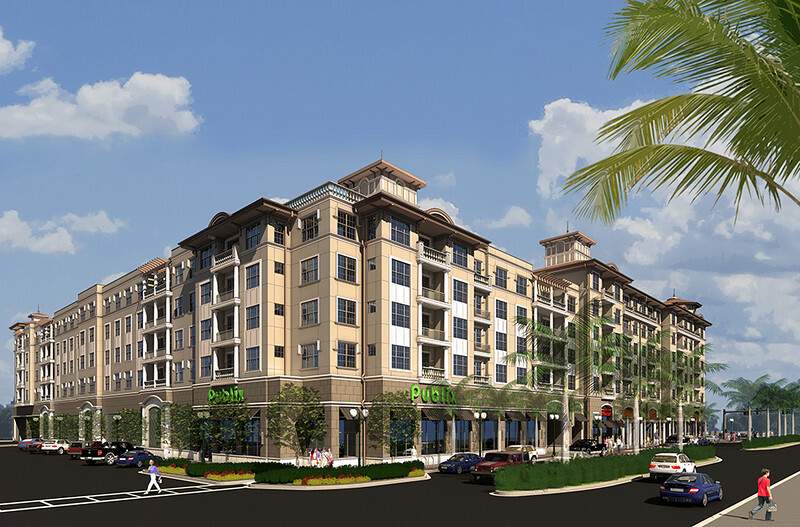 A rendering of East San Marco development at Hendricks Avenue and Atlantic Boulevard. In the meantime, demand in the area has continued to increase. While East San Marco remains stalled, another major retail redevelopment appears to be in the works for the Southside's historic neighborhoods. Located just east of St. Nicholas Town Center, Southgate Plaza was one of the first strip shopping centers to open in Jacksonville's Southside in 1957 at 3428 Beach Boulevard. Containing 140,000 square feet and ample parking, the shopping center's original list of tenants included W.T. Grant, F.W. Woolworth Company, Toy Town, Lerner Shops, Thom McAnn Shoes, Western Auto and Winn-Dixie. 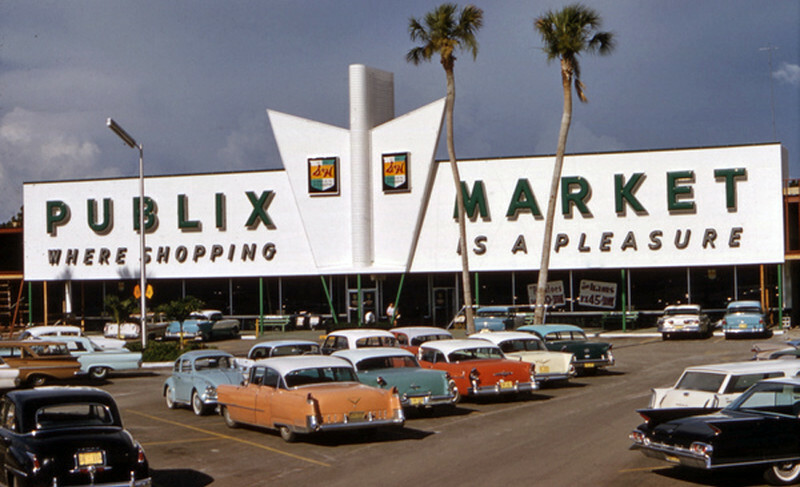 A Publix in Sarasota taken in July 1961. (State Archives of Florida) In the decades that would follow, the shopping center lost its luster as sprawled carried new growth and retail through the Southside and into Northern St. Johns County. Now largely vacant and owned by Jacksonville-based Demetree Brothers, Inc., Southgate's location is on the verge of being highly desirable again. Anticipating the potential departure of its largest tenant Sav-A-Lot (lease runs to 2020), Demetree is considering repositioning the center to take advantage of the opening of a new I-95/Atlantic Boulevard interchange and the site being within a six minute location of downtown. A Southgate Town Center redevelopment rendering illustrating an anchor space for a potential marketplace. Marketing efforts currently underway illustrate a redevelopment with 90,000 square foot shopping center anchored with three big box stores and two outparcels along Beach Boulevard, potentially tying into and extending the length of the St. Nicholas Town Center corridor. While it is believed Publix remains committed to eventually opening a store at East San Marco, Southgate Town Center's "suggestive" renderings show a potential grocery store location featuring Publix's trademark wings. Let the retail wars begin.